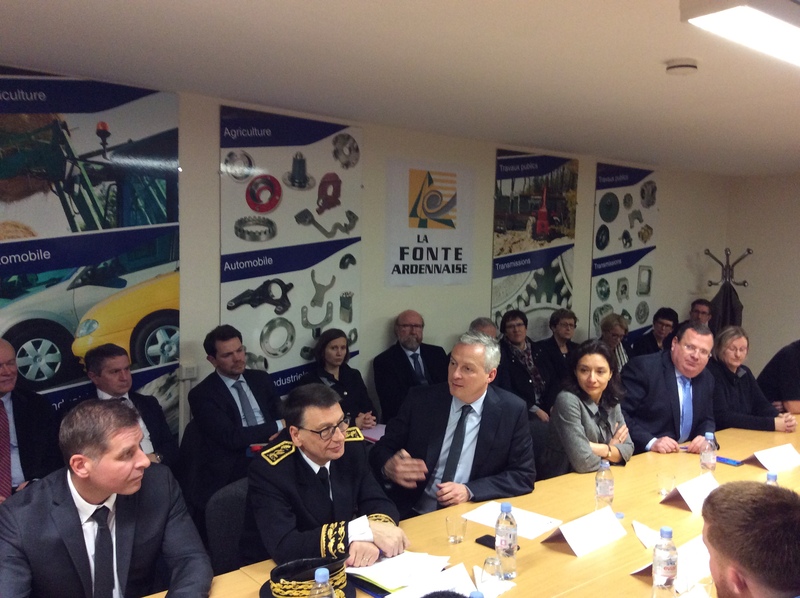 Friday 5th January 2018 The Minister for Finance and the Economy gave top billing to the employees and the excellent health of LA FONTE ARDENNAISE. Turnover of 127 million euros, universal employee satisfaction… LA FONTE ARDENNAISE was without a doubt the best place to welcome a Minister who wanted to shine the spotlight on the social and salary aspects of his policies. 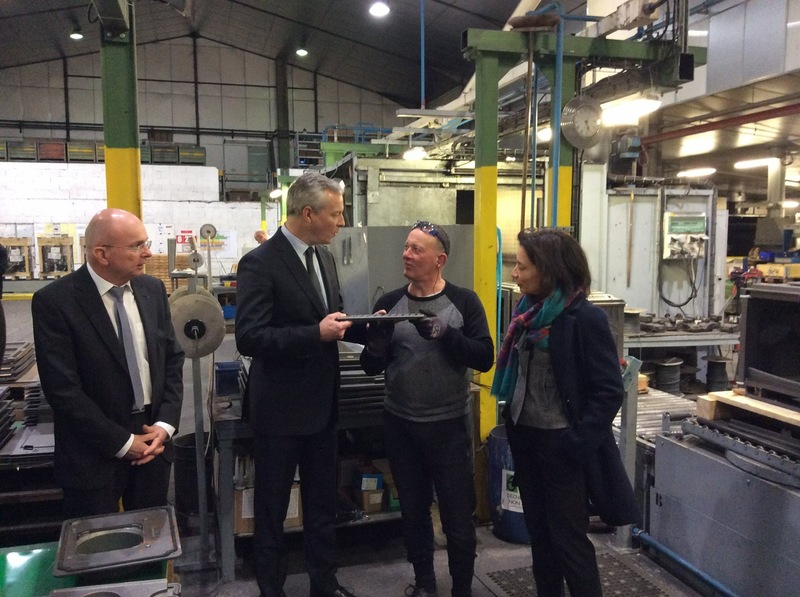 In these circumstances, Bruno Le Maire visited this jewel of French industry in Vrigne aux Bois, accompanied by the Secretary of State, Delphine Gény-Stephann. The Minister for Finance and the Economy chatted about current and future measures with a dozen or so employees at a round table: greater profit-sharing, employee shareholdings, reform of the staff training programme and lowering social security contributions. 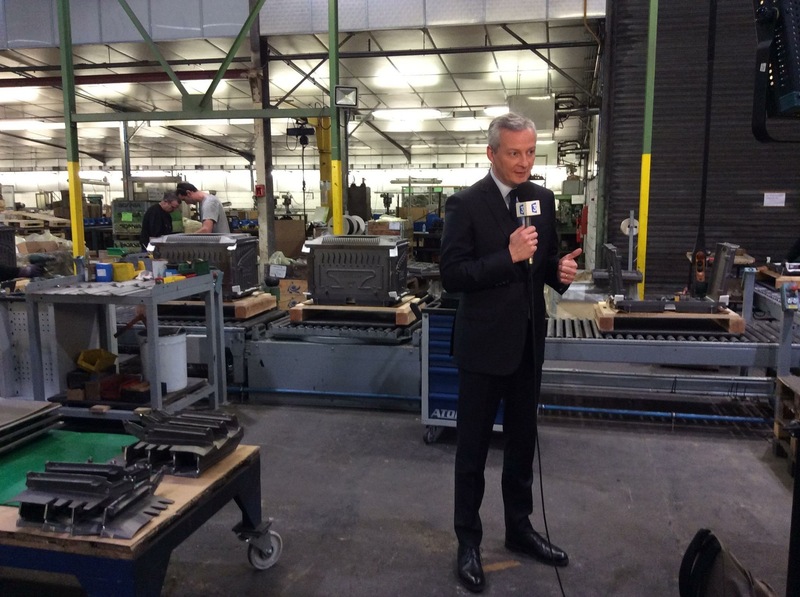 “A company that works well works well because it invests, because it innovates and also because its employees are well-trained.” Bruno Le Maire concluded. 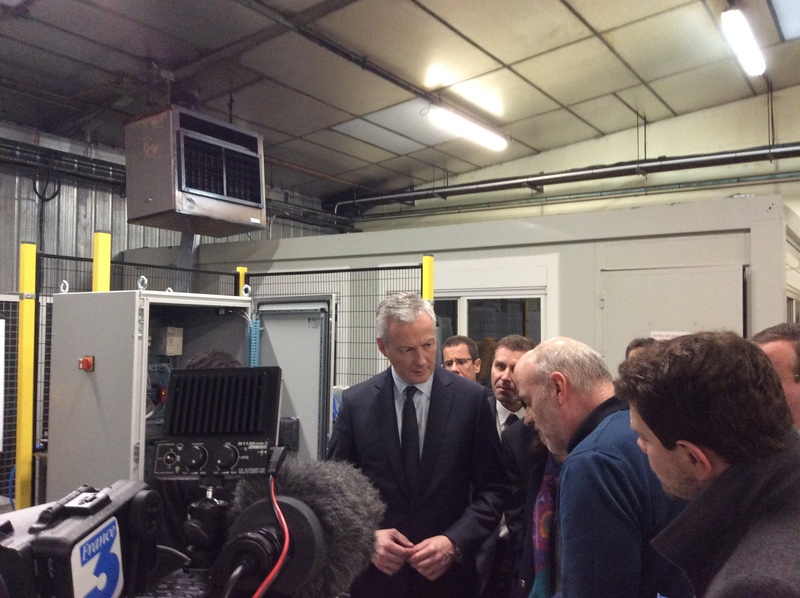 He was very easy-going, asking one employee how his family was and discussing career paths with another. The visit ended with a brief interview with the local TV news.